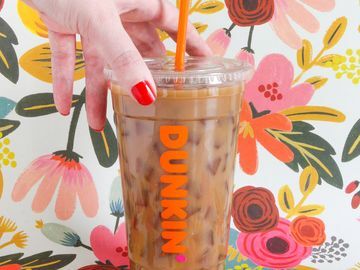 The Grammy Awards air this Sunday, and the millions tuning in will be among the first to experience a cinematic new advertisement that shines the spotlight on Dunkin’ for keeping America fueled with great coffee served fast and fresh from the very start. 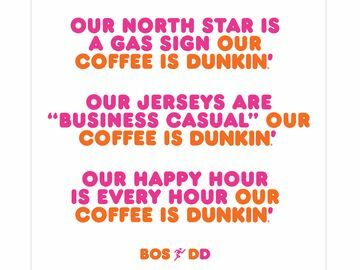 Debuting during music’s big night, Dunkin’s “Fuel Your Destiny” ad is an epic spot befitting one of TV’s must-see programs of the year. 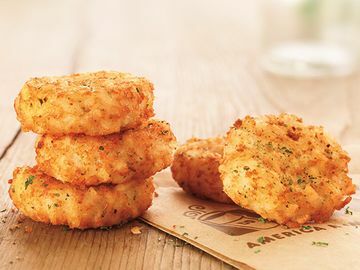 Reaching all the way back to the high seas explorers of the 15th century, we see perhaps the very beginnings of the company’s long heritage of keeping America running, and the spirit of optimism that remains at the heart of the brand today. 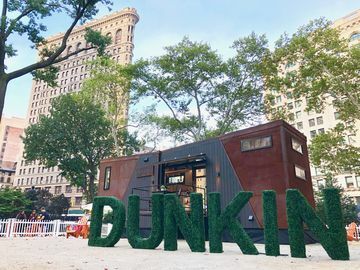 Created by BBDO New York, the film offers a humorous new take on Dunkin’ coffee as an important part of daily life for many people for a very long time, and Dunkin’s commitment to keep America running and refill optimism for generations to come as the brand sails towards an exciting future. If you aren’t able to see the film during the Grammy Awards, don’t despair…you can check out the spot here, and a longer version here. And, be sure to follow our social channels for special Fuel Your Destiny content as well.